Ever since August 2015 when FAA regulations were updated for governing the non-recreation use of drones or unmanned, small aircraft systems (UAS), it has become a lot easier for many service contractors, such as construction firms and roofers, to take advantage of the promising technology while still following the laws. Increase safety as well as save money and time by using a drone for taking measurement of the roof before building your estimate. In addition, drones enable contractors to do surveys of a site. This can prove to be useful when establishing entry and exit points of the jobsite, in addition to identifying the best places for parking and materials. Take imagery and video of the entire roof so that you can show the owner what the roof condition is in. That might involve a drone-based thermal imaging inspection for checking for wetness and leaks. Drones might be especially useful inspections of very steep roofs since there could be added risk for getting on top of these roofs. After the drone inspection has occurred, this information can be used for reviewing with the building owner or homeowner any problems as well as explain how they can be fixed. Drone may help you look more professional to building owners and homeowners. Make your company stand out against the competiton and impress your prospective customers with an informative and impressive video. One of the most powerful marketing tools that you can use are before-and-after videos. Post them to your website, give them to prospective customers, and show the difference that you can make with our top-quality installations and products. 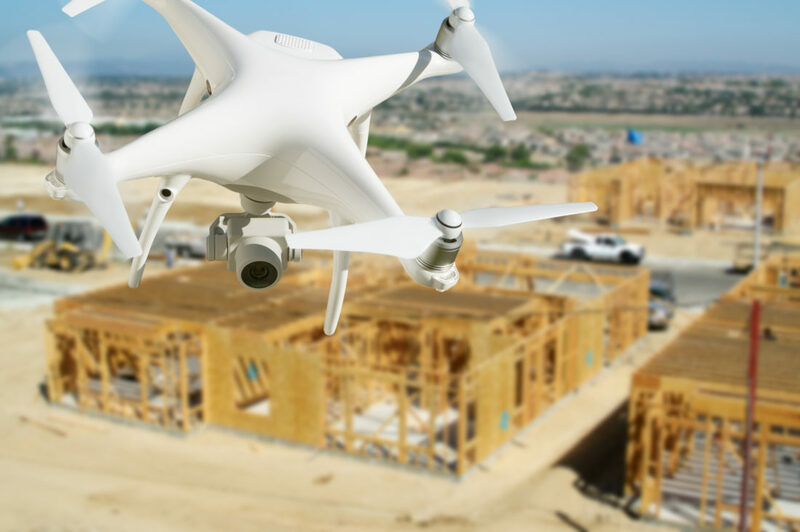 Drone technology is now quite commonplace in real estate marketing for good reason: it adds a lot of sizzle for prospective buyers! Reducing the need to have to climb on steep roofs frequently can make your company attractive to work for, and help you attract as well as retain a valuable and diverse group of employees. Consider all of the money you could save in fuel and vehicle expense if you don’t have to roll in large pickup trucks and ladders for all of your inspections. In addition, measuring might take less time, which will enable your survey employees to be able to visit more sites each day. We’ve had some requests for this article based on friends wanted to start a Drone Rental business. As you can see, there’s plenty of need for drones in the business sector and owning them outright for any business can be cost prohibitive.